20th - 21st April 2018 Main Room Entertainment across our Fylde Coast Holiday Parks! 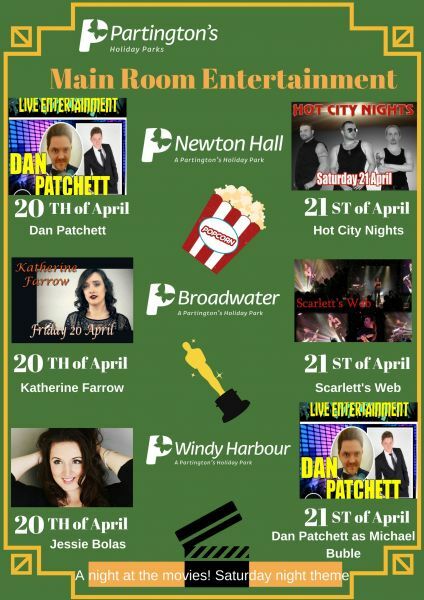 20th - 21st April Main room entertainment at Broadwater, Windy Harbour and Newton Hall Holiday Parks. Saturday night theme! - Night at the movies!